The Tommies will open up their season at the new Grant*Harvey Centre against Moncton on Saturday, October 13th. The Ladies will close on the road for the second year in a row versus Dalhousie on February 16th. 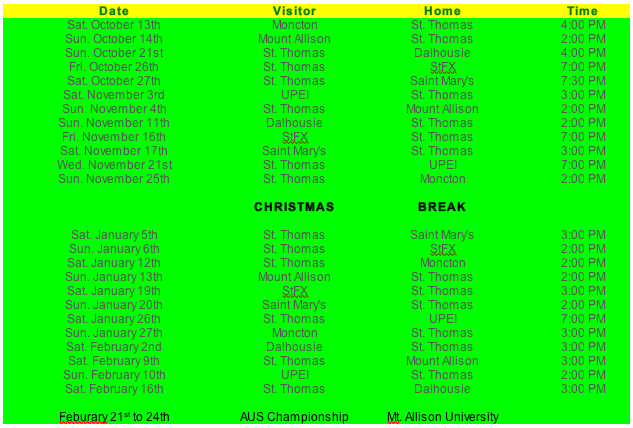 The AUS championship will be held February 21st to 24th in Sackville, NB at Mount Allison University.